Military History Books, THE NEW ILLUSTRATED HISTORY OF THE NAZIS: RARE PHOTOGRAPHS OF THE THIRD REICH,David & Charles,ISBN 0715321013, FORGOTTEN ARCHIVES 1: THE LOST SIGNAL CORPS PHOTOS,Darren Neely, Panzerwecks,ISBN 9781908032119, RISING '44: THE BATTLE FOR WARSAW,Norman Davies,MacMillan,ISBN 0333905687, LOW INTENSITY OPERATIONS,General Sir Frank Kitson,'Subversion, Insurgency, and Peacekeeping',Faber & Faber,ISBN 0571161812, ATOMIC: THE FIRST WAR OF PHYSICS AND THE SECRET HISTORY OF THE ATOM BOMB - 1939-49,Jim Baggott,Icon Books,ISBN 9781848310445. A visual narrative documenting the history of the Nazis from their roots in World War I and their rise to power in 1933, to the end of the Cold War era and the fall of the Berlin Wall in 1989. 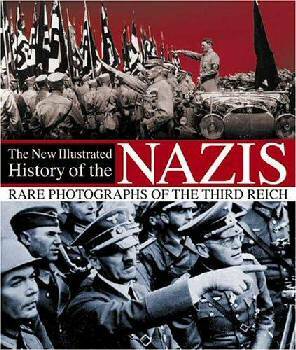 Featuring many previously unpublished photographs of Nazi Germany prior to and during World War II. The US Army Signal Corps photographs were the official standard for photo documentation of the army during World War II. These photos were captured by trained cameramen and in most cases were taken under enemy fire, in a ditch with a riflemen or as enemy shells landed nearby. 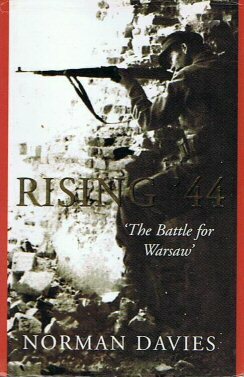 The photos in this book have not previously been published or have only appeared in hard to find unit histories. They cover events in the ETO, from the Normandy breakout until the end of the war. 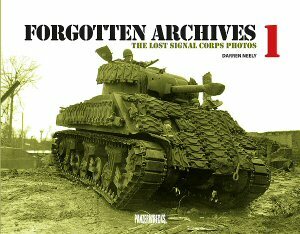 Beautifully illustrated with 266 rare large format photos, Forgotten Archives 1 is must for the armour enthusiast. 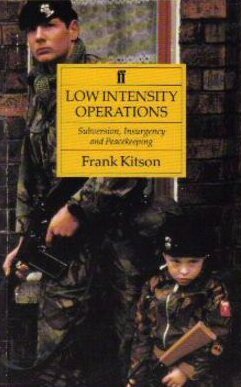 Subtitled 'Subversion, Insurgency, and Peacekeeping', this is a reprint of Sir Frank Kitson's acclaimed work. When the book was first published in the 1970s, the US was losing an insurgency in Vietnam, and Great Britain was in its final stages as a colonial power. 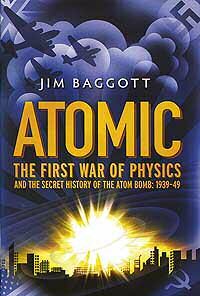 By that point, Britain had participated in more than 30 low intensity operations, and had been unsuccessful in most of them. Kitson, a veteran of many, decided to put his thoughts on paper as to how he thought these battles could be won.